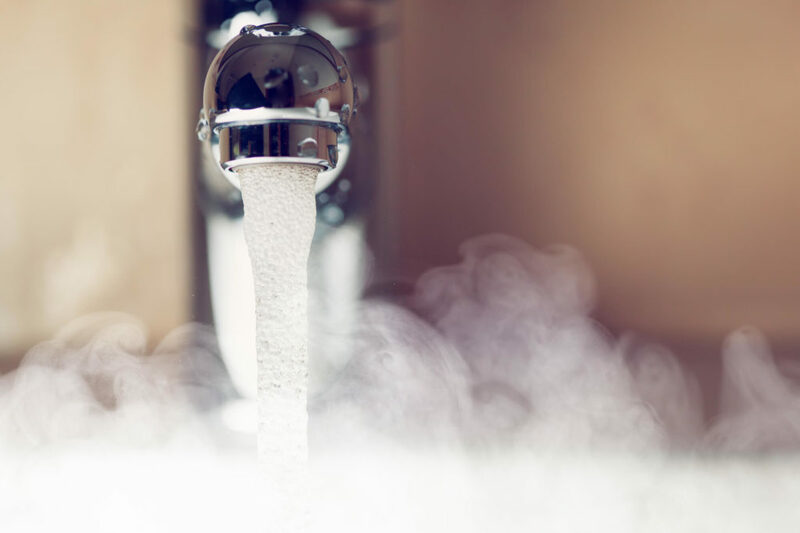 Having a blocked drain in your home or business facility is never a good thing, so you’ll want to address the problem as quickly as possible. If you leave the blockage unchecked, it could ultimately cause leakage around your property, which can damage your walls, flooring and even the foundation of the building. A blockage could also cause a pipe to burst, the repair of which can be incredibly time-consuming and costly. In many cases, particularly around the home, blockages can be cleared with simple drain cleaner that you can find at any hardware store. You’ll pour the solution into the blocked drain and let it sit for about 15 minutes. Then, you’ll flush it out with hot water. If the blockage wasn’t too severe, your drain should flow smoothly. If it doesn’t, you’ll need to take more drastic measures. In these cases, you’ll likely want to call in a professional plumber to ensure that your drain gets fully cleared. When the plumber arrives at your location, the first step will be to find out where the blockage is and what is causing it. Most plumbers do this by inserting a small camera into your drain. Using this camera, they can then work their way through your pipes to find where the blockage is located. They’ll also be able to see the extent of any damage and what type of material is causing the blockage. This will inform them as to which method they should use to get rid of the blockage. The electric eel, or plumbing snake, is one of the most common tools used to eliminate drain blockages. Basically, it consists of a coiled wire attached to a crank. By turning the crank, either by hand or with an electric motor, the plumber also turns the wire. As it scrapes along the sides of the pipe like a screw, it loosens up and removes the blockage. However, the electric eel does have some drawbacks. First of all, its range is limited by the length of the wire. If the blockage is far away from the drain opening, your plumber will likely have to resort to other measures, as the coil will be unable to reach the blockage site. Plumbing snakes can also be a bit hard on your pipes. If they are not in the best condition, the scraping of the coil could cause damage to your piping, which can create more plumbing problems for you in the future. Because of the complications associated with using plumbing snakes, many plumbers now use high-powered water jets to remove blockages. This involves pumping water through your pipes with high pressure to force the blockage to dislodge itself from your pipes. This method has been shown to be incredibly effective, even on blockages caused by tree roots, one of the most common causes of blockages. Water jetters are also effective in removing blockages from hair, grease build-up, children’s toys, personal hygiene products and more. Unlike plumbing snakes, this method is much easier on your pipes and poses minimal risk. If all other methods have failed, your last recourse will be to replace the affected pipe entirely. However, this method is labour-intensive, time-consuming and expensive, so it should only be used as a last resort. In addition, it will require digging up the area of your property or cutting into the wall where the pipe is, which can add to the expense of the repair. 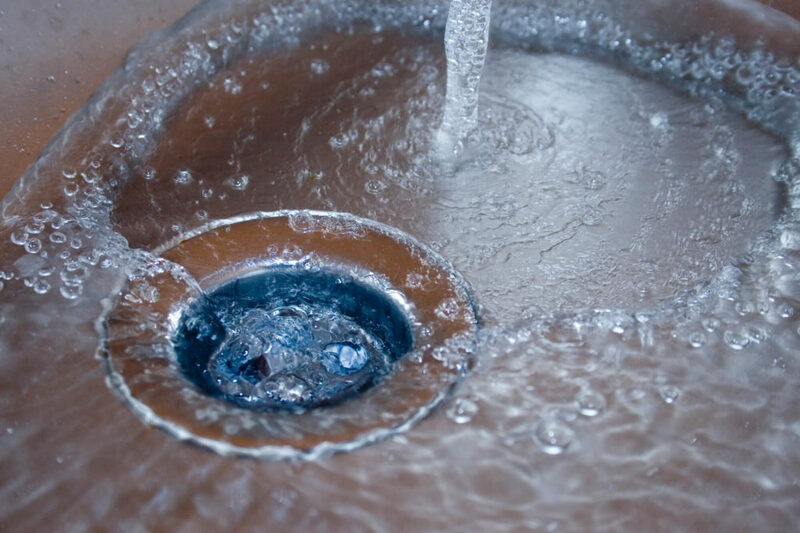 Here at RD Plumbing & Gas, we are highly experienced in clearing all types of drain blockages. We use state-of-the-art technology to identify the source and remove the blockage efficiently and accurately. After we have finished the job, we’ll thoroughly clean up after ourselves so that your property will be even cleaner than when we arrived. Our technicians will be happy to answer any questions you may have about the drain clearing process. We will also advise you on how to prevent future blockages from happening. If you think that you might have a blocked drain, don’t hesitate to call us right away. The best thing you can do is to eliminate a blockage before it becomes a major problem. We can also assist with regular drain maintenance to keep your pipes flowing smoothly at all times. Call us today to learn more about our plumbing services and how we can help you. If your home is outfitted with gutters, you’ll need to clean them out from time to time. Otherwise, they can get blocked up with leaves and other debris. This can cause them to overflow or leak, potentially causing water damage to your house. If the debris becomes too heavy and waterlogged, the gutters can even break off your house under the weight. Luckily, you can easily prevent these problems by cleaning out your gutters on a regular basis. How often you’ll need to clean yours will depend on the type and amount of trees you have on your property. If you have several tall eucalyptus trees, for example, you’ll need to clean your gutters more frequently than if you only have hedges in your yard. However, a general rule of thumb is to clean your gutters out twice a year. Cleaning out your gutters can be messy business. You’ll want to wear clothing that you don’t mind getting wet and dirty. Gloves can be helpful, too, to protect your hands. Start by setting up a ladder at the end of the gutter, closest to the drain, and make sure that it is stable before you climb up. Start from the drain and work your way outward so you don’t inadvertently push debris down into the drain, making the blockage worse. Once you have removed all of the debris, rinse everything out with a hose, starting from the outside and letting the water flow toward the drain. Blocking part of the nozzle with your thumb can help to get added water pressure to loosen up any caked on dirt. Finally, pour a small bucket of water directly into the drain to ensure that everything is flowing smoothly. If it is, that’s all there is to it. 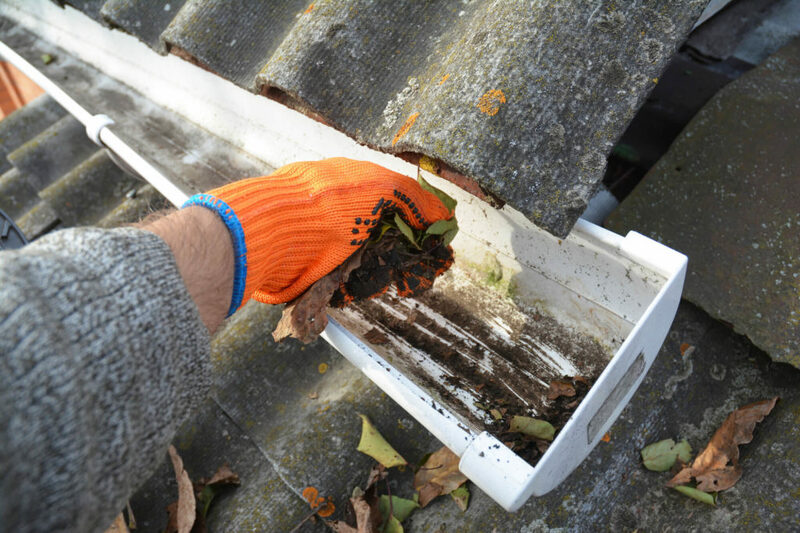 If you would prefer not to clean your own gutters, RD Plumbing & Gas will be glad to help. Our technicians will come out to your property as needed to clean out your gutters and ensure you won’t have to worry about debris build-up and water damage. We always work with professionalism and integrity and will clean up after ourselves when we are finished. If you have any questions about our gutter cleaning services, we will be happy to answer them for you. Get in touch with us today to learn more.